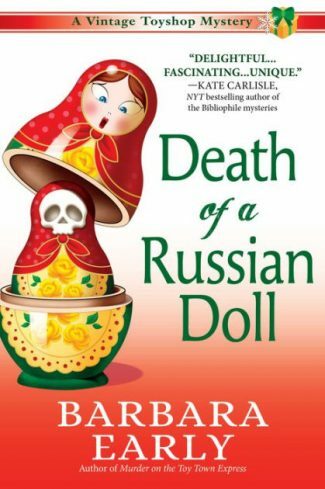 Death of a Russian Doll is the third book in Barbara Early’s Vintage Toyshop mystery series. Liz McCall manages Well Played for her dad Hank, who is the retired police chief of East Aurora, a village located in Erie County and part of the Buffalo-Niagara Falls metropolitan area. Death of a Russian Doll is a jolly cozy, all ho-ho-ho with a Christmas backdrop. Certainly, Liz’s father “pulled out all the stops” to entice shoppers to Main Street. Glittery snowflakes dangled from the ceiling. Ribbons and bows placed on toys and games throughout the store served as a not-so-subtle reminder that vintage toys also made great gifts. And our sound system had been extolling the virtues of walking in a Winter Wonderland even before our Thanksgiving turkey defrosted. Barbara Early writes movingly about how hard it is to stay in business in a small town. Why buy used, albeit cool, vintage toys at Well Played when you can buy shiny, new things at the local box store? One notion is to make your store a destination for more than shopping. Liz’s sister-in-law, Cathy, has a great idea: she wants to refurbish donated dolls for a good cause. Cathy’s vision requires a village of helpers and creative types—in short, a Christmas committee. She ticked off the items on her glittery turquoise-tipped fingernails. 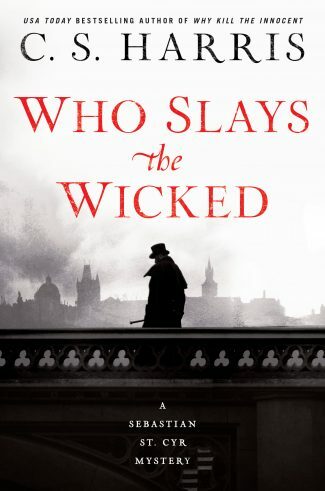 Unfortunately, no good deed goes unpunished. Liz’s nerves are rattled because there’s “a Russian nesting doll, properly called a matryoshka,” that moves willy-nilly on the shelf. Then Marya, Liz’s ex-boyfriend’s once-estranged wife shows up. Marya is a talented hairdresser, her talents could be put to good use, but really? It doesn’t help that the Russian immigrant is model pretty. What a night. Creepy dolls and Marya Young. I followed her gaze to the door, where Ken was standing just outside. He shrank back when multiple eyes turned to him. Lori was right when she said he hadn’t seemed himself. It’s all very awkward. The next day Liz overhears Ken and Marya fighting at the barbershop next door where Marya rents a chair. Although she’s not “proud of it,” she looks for the “largest gap in the drywall” so she can hear better. Trouble in paradise? Later that day Ken searches for Marya so he can continue their conversation. He finds her at work, dead. “Was she alive when you found her?” Dad asked. In one fell swoop, Ken goes from Chief of Police to Chief Suspect. Liz’s dad is tapped by Mayor Briggs to come on as the interim chief of police. Hank says, “My daughter may kill me,” but he agrees to step up. 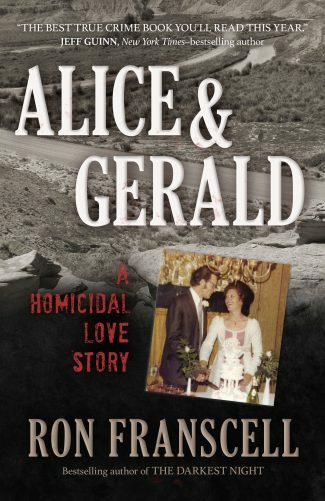 The relationship between Hank and Liz makes a fascinating undercurrent to the murder investigation. Liz’s mother, now deceased, was an alcoholic and Liz’s childhood was filled with tension. Her relationship with her father, then and now, is a work in progress. 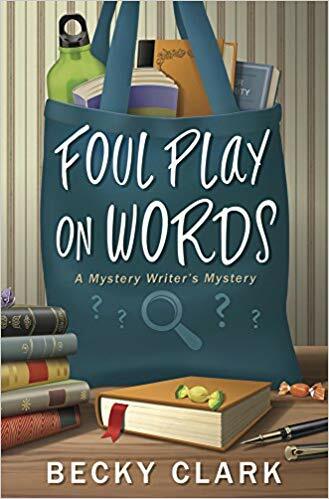 Liz is desperate to help her dad figure out who killed Marya, not because she’s interested in Ken, not just because she has intuitive detective skills, but because she wants her dad back running the toy store. Liz asks to look at a couple case files and Hank says, “Under no circumstances are you to touch them.” Ding ding, it’s the “Pottergate” solution. Back in the day, Liz’s “Mom had just finished up another rehab, this time a religious-based program,” so reading about “a boy wizard named Harry,” was not in the cards. Hank stepped up, said he would read Harry and make a judgement. On my bed that night I found a brown paper bag containing the book, a pair of evidence gloves and two knitting needles. At first it was awkward turning pages with the limited dexterity of the gloves, but it didn’t take long to figure out that was what the knitting needles were for. Passages like these add a depth and poignancy to Death of a Russian Doll that elevates it into a fugue on small-town life and complicated family relationships. Small towns in America are not exempt from troubles that plague more urban environments. Opioids and pill addiction, greed, and graft are at the core of Marya’s death. Liz McCall’s journey to the truth is a fascinating one. Kudos to an excellent Vintage Toyshop Mystery. 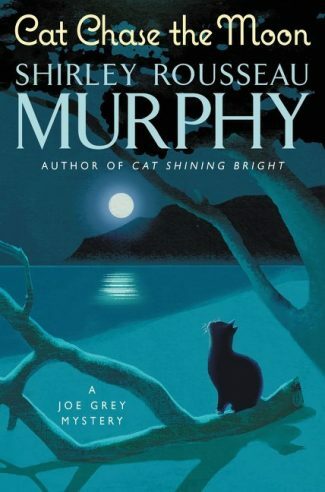 Have not heard of this author but would love to a chance to read this.